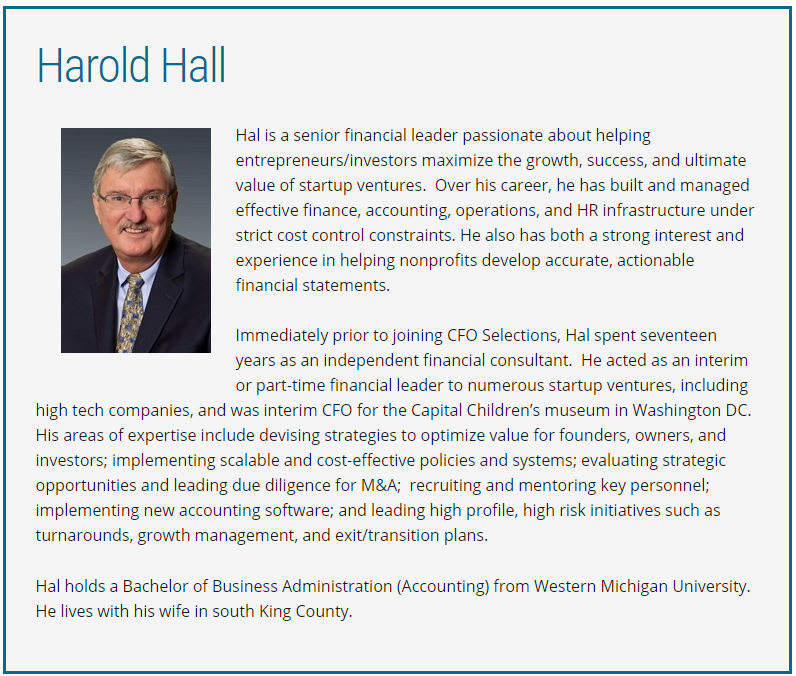 Hal is a senior financial leader passionate about helping entrepreneurs/investors maximize the growth, success, and ultimate value of startup ventures. Over his career, he has built and managed effective finance, accounting, operations, and HR infrastructure under strict cost control constraints. He also has both a strong interest and experience in helping nonprofits develop accurate, actionable financial statements. Immediately prior to joining CFO Selections, Hal spent seventeen years as an independent financial consultant. 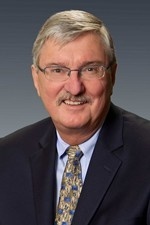 He acted as an interim or part-time financial leader to numerous startup ventures, including high tech companies, and was interim CFO for the Capital Children’s museum in Washington DC. His areas of expertise include devising strategies to optimize value for founders, owners, and investors; implementing scalable and cost-effective policies and systems; evaluating strategic opportunities and leading due diligence for M&A; recruiting and mentoring key personnel; implementing new accounting software; and leading high profile, high risk initiatives such as turnarounds, growth management, and exit/transition plans. Hal holds a Bachelor of Business Administration (Accounting) from Western Michigan University. He lives with his wife in south King County.